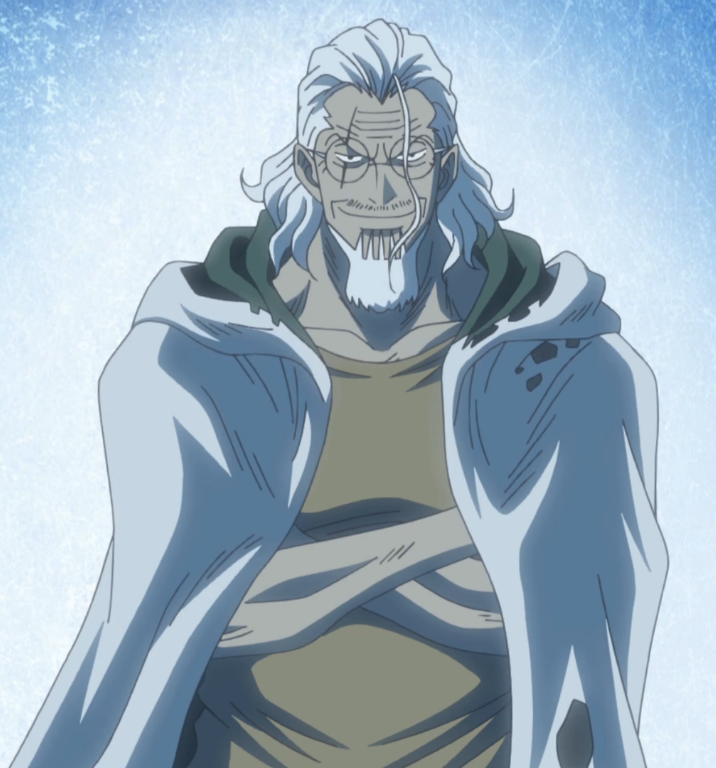 Today we’re gonna talk about Silvers Rayleigh from our favorite anime One Piece. We’ll try to explore the reason why he’s referred to as the Dark King. 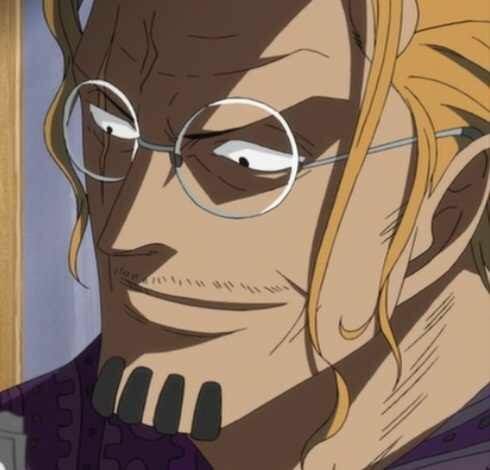 Silvers Rayleigh was the right hand of the Pirate King Gol D Roger and the first mate of the Roger Pirates(much like what Zoro is to Luffy). He now is a former pirate(the only former pirate with an active bounty!) who has become a coating mechanic at the Sabaody Archipelago. He has also served as the mentor and trainer of Luffy to haki, during the two-year timeskip. Just how strong is he? His wife, Shakuyaku stated back in Sabaody that he is 100 times stronger than each of the 11 Supernovas. Garp also told his Marines that if they were to encounter Rayleigh they were NOT to pursue him. Even Kizaru stated that if they were to make an attempt to capture him they should make important preparations beforehand. It’s important to note as well that Rayleigh has fought Kizaru equally at Sabaody. Not to mention that he has grown old, something that means he was even stronger in his prime. He is one of the few people that know the True History of the World and the Void Century. Here we should also talk about his great physical strength, which enables him to kill Sea Kings with his bare hands! In the anime, he has also been shown throwing bullets and destroying cannonballs with his hands. He is able to stop Kizaru’s attacks and keep up with him in his light enhanced speed. Last but not least, he has been shown to have the stamina to swim to Amazon Lily from some other ocean! He is an extremely skilled swordsman and an adept user of all types of haki! Let’s relive some awesomeness! His name could have been inspired by the Rayleigh scattering, as we have seen him scattering Kizaru’s attacks during their fight. Other culprits could also be Long John Silver and Sir Walter Rayleigh. Another fascinating piece of trivia is the theme of metals in the names of the Roger Pirates. Remember Gol D Roger and Scopper Gaban as well. Why is Rayleigh called the Dark King? Now, let’s get to the alias Dark King. Many ideas could be dropped here, so let’s explore some of the more interesting ones. What if he is called Dark King because of his Busoshoku(color of armament) Haki? What I mean by that is that he either possesses extremely powerful Busoshoku Haki or maybe was the one who introduced it(or maybe even both). Also, remember that the Marines don’t change the aliases of the people they chase easily. After all, Zoro is still called pirate hunter. That means that probably some dumbass low-level marine saw the hardened body of Rayleigh with its haki and called him Dark King because of its color. Some other people believe that he has such a powerful Conqueror’s Haki that he creates an aura around him that is like a black sphere. Could be quite cool either way. Let’s take a look at another theory. Any Naruto fans here? Well, I want to remind you of the Hiruzen/Danzo relationship. For those unfamiliar, I’ll explain. Hiruzen Sarutobi was the Hokage, which means the head of the Leaf Village in Naruto. Danzo, on the other hand, was the head of the village lurking in the shadows. The man who wanted to protect the village by any means possible. The man who handled all the dirty work and the shady stuff behind the scenes. Could it be that Rayleigh was something like that for Roger? Roger was the outgoing and cheerful one(much like Luffy) and Rayleigh the serious one(much like Zoro in personality, however, his role seems more similar to Nami, as far as the Straw Hats are concerned) who handled everything that required handling. Let’s remember that he was the one who resolved many confrontations among the Oro Jackson, much like the ones between Shanks and Buggy. He was, in essence, the Dark King so that Roger could be the real King of the Pirates. Roger was free to be the outgoing and careless man he was because Rayleigh was there to be the voice of reason for the crew. An interesting theory stems from the japanese term Mei Ou which means Dark or Shadow King. It’s used in many fighting/sports manga and anime to describe uncrowned kings. 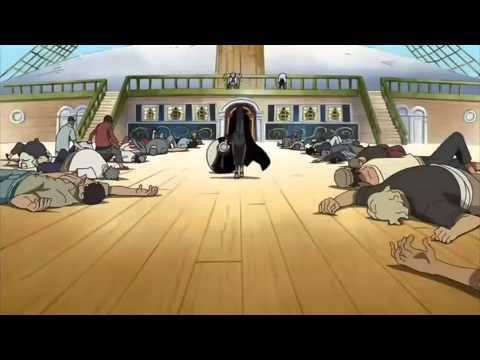 This, in fact, implies that Rayleigh, if not for his captain Gol D Roger, could have been the Pirate King as well. Therefore, in terms of power, we can see that he must be close to Roger. The King of the Underworld? Another idea similar to this one is that Rayleigh has his connections to the underworld. After all, he is a man who has leveraged the opportunity presented in Sabaody for coating, in order to have business for himself. He could be the Dark King of the underworld. We have already blogged about a theory regarding Zoro’s closed eye and the demonic spirit that may be connected to the power of many swordsmen. The Dark King may be an epithet relevant to the demon that once used to lurk inside him. Let’s not forget that he also has a scar on one of his eyes, much like Zoro, although his eye is now opened. Maybe he released the stored power? Or maybe both Zoro and Rayleigh cut their eyes in order to not get overwhelmed by their cursed swords? Let’s remember that when Zoro was using a move called Ashura his left eye used to turn red. That fact points to it being connected to his cursed sword. What if Rayleigh’s cursed power gave him the alias Dark King? Remember what I said at the beginning of the post about the possibility that his name comes from physics and Rayleigh scattering? Well, what if he is the man who scatters light, much like what he did to Kizaru, and is, as a result, the opposite, the adversary of light, the Dark King! 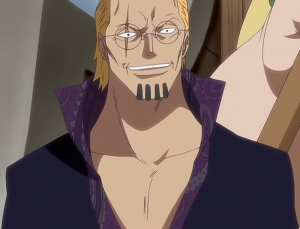 Well, there is no verdict as to why Silvers Rayleigh from One Piece is called the Dark King. That was just an entertaining discussion! Thanks for sharing your website! I was actually doing some research on google and stumbled upon your website. The content provided is very clear and easy to navigate. Hey thanks for sharing the love Eric. Be sure to point him to our anime recommendations page for the coolest anime gear out there! I am not that knowledgeable about anime, but my nephew is and as I was looking for something different to get him for Christmas, I came across your website. I will be asking his wife if this is something that interests him enough to get a Christmas gift. Thanks for the detailed information about this. I do believe that The Dark Knight is because of serving under Roger, just my opinion form reading your article. Nice job. Glad the website proved helpful to you for ideas Bobbi. Be sure to check our recommendations page for more gift ideas. Also, I would really appreciate it if you pointed him to our facebook page and our exclusive anime newsletter. I’m sure he’ll love them! It’s possible that Rayleigh’s title as the Dark King may also have some connection to Luffy’s 4th Gear, specifically with the way it colors his flesh dark red and makes him visually a lot more menacing as far as the Haki aspect is concerned. Though that is just speculation, it is telling that Doflamingo is the only one whose Haki visually resembles Luffy’s, and that he’s described as having a special kind of Haki that others don’t. Perhaps that might be some hint, though I’m not 100% on that. Yes maybe Rayleigh’s haki paints him a certain color. As far as the Doflamingo haki is concerned, he and Luffy possess the Conqueror’s haki, which isn’t speculation any more. Thanks for the input! i think he is called that cause of a devil fruit power death death fruit!